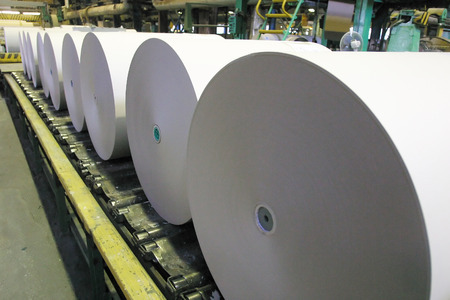 Like many other companies out there, a paper company in Eastover, North Carolina, hit a point recently where they felt as though their plant wasn’t as efficient as it should be. They were using two 800HP Joy centrifugal compressors with obsolete Quad III controllers and three Atlas Copco fixed speed rotary screw compressors with obsolete controls, and they felt as though they were wasting a significant amount of compressed air and energy every single day. They were right. The company called on Case Controls to take a look at their system and help them decide whether or not new master controls would solve the problem they were facing. After surveying all of their equipment, we ultimately concluded that they could cut down on their wasted energy by installing a new AirLogix® control system and Quad III retrofit kits for their two Joy centrifugal compressors. Additionally, we provided the company with AirLogixPD™ rotary screw controls for their Atlas Copco machines. We also installed an AirMaster™ load sharing system to manage demand across all compressors. There was no need to add a separate programmable logic controller (PLC) system to manage this load sharing since the rotary screw compressors were upgraded with CompactLogix PLCs™, which made the AirMaster™ floating master architecture a feasible solution. During two, two-week outages, we made the upgrades to the centrifugal and rotary screw systems in sequence, and when the work was completed, the company found that our solutions helped the plant out immensely. The increased efficiency in operations has been documented as more than $560,000 annually – an incredible savings in operational costs. With compressors no longer running when there was no demand, excess air production dropped thanks to their new master controls, creating a vastly more efficient facility. If you run a business that relies on air compressors and you think that you might be spending too much money every year on energy, you should consider doing what this paper company did and investing in new equipment. Case Controls can supply you with the products and services you need to increase your efficiency, often finding solutions that can save your company thousands of dollars per year, meaning your investment will frequently pay for itself. Contact us at 812-422-2422 today to see how we can help you.